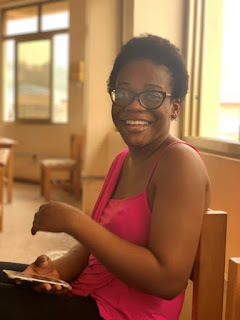 Eva leads /organizes codebar Accra, which is an organization that provides a safe-space for underrepresented people in Tech to connect, network and learn. 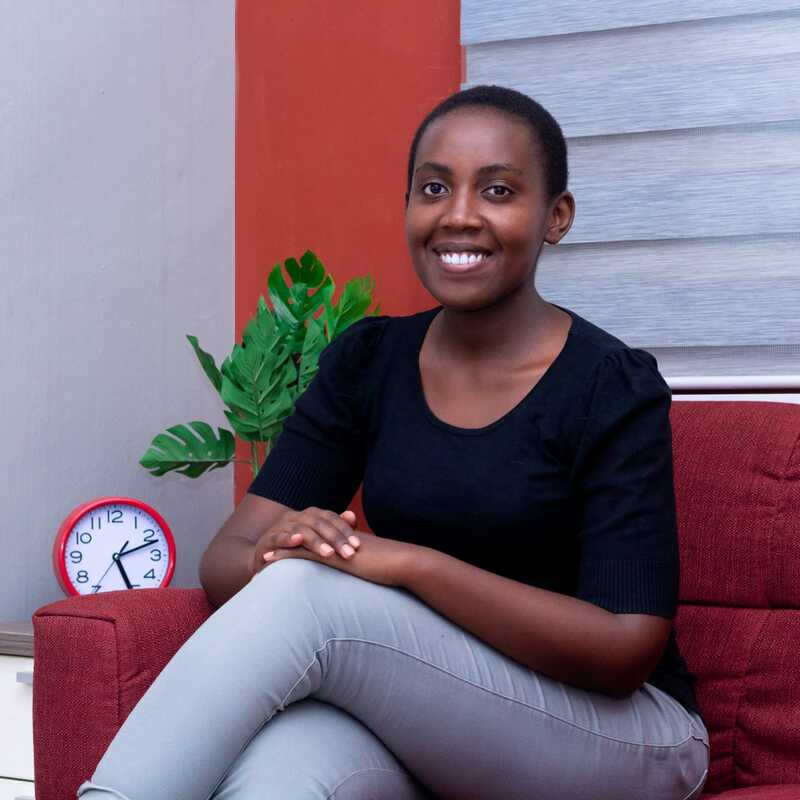 Before Getinnotized, she was an Entrepreneur in Training at MEST, where she studied Software Engineering and Entrepreneurship. Has it been IT always? Or how did you venture into this field? I studied computer science. To be honest I touched my first computer at 17 years of age. I wouldn’t say I have always been in Tech. Did you have any mentors? Since it was quite new, what kept you going? I am kenyan, we go to High school for 4 years, after that we stay home for around 6 months, after which we join college. My mum wanted me to be independent and she ask me to get a job. My first job was cleaning computers. My boss at the time forced me to learn word, excel, powerpoints etc After learning those, he took me to his lectures. He was working as a lecturer in university in Kenya. That way he became my first mentor. He wanted me to audit Technology courses and know where I wanted to be. After I knew I wanted computer science I went out looking for people who inspired me. In my first year, I joined Google developers Group. In the group, there were a few ladies. I started hanging out with them, and they would take me to meet ups like andela, akirachix and other groups. In the GDG group, I started taking responsibilities, the leads there were willing to direct me and sometimes take a fall for mistakes I made. Was it hard adapting as a lady. Even now do you think there are any hurdles for ladies in IT? Yes, it was challenging. 90% of the time I was expected to be serving snacks instead of answering tough tech questions during events. Sometimes when I was in an assignment group there would be that guy who wouldn't want me to write code because I might not do it well. Like most of us in this group, I have asked myself whether I am really capable. All of you know that small voice in your head, right? For students, you know when you go to ask a question about a bug and the boy simply takes your computer and writes the whole program for you. In work area though, I have become more intentional about who affects me, but because I lead a team, I get to observe how women are treated. I think things are getting better everyday. Yes, it was challenging. 90% of the time I was expected to be serving snacks instead of answering tough tech questions during events. Sometimes when I was in an assignment group there would be that guy who wouldn't want me to write code because I might not do it well. Like most of us in this group, I have asked myself whether I am really capable. All of you know that small voice in your head, right? For students, you know when you go to ask a question about a bug and the boy simply takes your computer and writes the whole program for you. In work area though, I have become more intentional about who affects me, but because I lead a team, I get to observe how women are treated. I think things are getting better everyday. How did you explore all these technologies? Any link to resources you use? I am a big fan of videos. So youtube is my university. But I was given a trick by my boyfriend, he is Ghanaian by the way 😉 He said, "The best way to learn, is to just get the basics, then immediately build something". So I try to build something new every month. For Resources, I have tonnes. I will have to organize that into a roadmap so that it is useful for everyone. Your portfolio must be a huge one. I mean of the projects you've built. Haha, yes and no, I started this practice last year, sometime in November. I wake up at 07:00 Then exercise and prepare for work. I then get to work at around 0750. (I live where I work). From 8am-9am, I get to know what everyone is doing and if they have issues. From 9am to 5pm, I will be doing various tasks, including writing code and debugging. I read a lot, so I use minimum 2 hrs reading. Then I start coding until I fall asleep at around 12 o’clock midnight. Sometimes up to 2AM, and then begin again. Not all days are the same though. Haha, I don't balance. I have not figured that out yet. Maybe you ladies can help me with that. I do what gives me the greatest happiness and has a greater impact. I also allow myself to be imperfect. I exercise, I have few, very few friends who keep me grounded, then I talk to my God a lot. For getinnotized, I am a test automation engineer. My work entails a few things. I lead the Quality Assurance team. I do code reviews with developers. I write automated tests using selenium, appium, xunit frameworks. I also do a bit of DevOps which also comes with Continuous Integration. My work is to make sure the products we release are of top quality. I am a lazy-movie-watcher. So I found hidden figures last month. I watched ladies who were out to make a difference and nothing was going to stop them. They worked day and night. Not only were they women in offices full of white male, they were also blacks in a segregated state. One of the ladies was a leader(Dorothy) that woman was willing to go over and beyond to create opportunities for women. If she was moving ahead, she made sure to bring her sisters with her. Dorothy learned Fortran programming language from a book!! If you’re in final year in school and you have now developed an interest in software development is it too late?? You started computing at a young age, If the "older" You could give an advice to the "younger" You, what advice would she give her on learning to be a programmer? To actively look for exposure. I will give you an example. I was studying computer science, I was learning how to code, but I was not actively coding until my last year of university. For 3 years I was comfortable going to class and going back home and relaxing like everyone else. Until, I applied for andela and it opened up the world for me. In less than 2 weeks I learned more than I had learned for 3 years in university. Imagine I started seeking these opportunities and exposure early. Get exposure and be daring. As the first ever meetup for PyladiesTarkwa was planned to come off on 16th February, 2019, did happen, it was amazing having four ladies from different fields of engineering making time out of their busy schedule to meet with one passion to learn how to program with python at 12:30pm at the University of Mines and Technology, library discussion room. The session started with building a network among the new faces seen, it was a very interactive session where we got to know each other's passion. 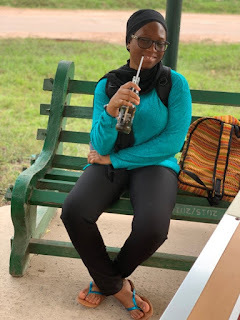 After which there was an introduction from the coach who shared her experience, then dived into the general overview of programming with python, opportunities available and also motivated the ladies to set goals in other to reach higher heights. All mentioned above constituted the informal session. Before the tutorial session started, the coach went round the tables and made sure each lady had their IDE installed and had Python running. Looking at the encouraged faces of the ladies, we delved into Python, by learning the basics of programming with python. Most were surprised at seeing few lines of codes, executed very simple; they were inspired to learn more because it was easy. Here are a few words from the participants about their experiences. The python programming language is a very easy and friendly language in terms of its syntax as compared to other programming languages. This makes it easy for individuals with little or no knowledge about programming get well acquainted to the programming world. From my perspective, I feel python is the best language to begin with when starting your programming journey. My enthusiasm to learn a programming language died down on my first lecture. I found it very boring. It seemed very complex too (maybe because of the kind of tuition I got). I lost interest at some point. Though I managed to pass my exam, I was not confident in my ability hence would not put it out anywhere that I could code. I saw PyLadies Tarkwa as a chance to learn so I decided to go for it. The first meet up was a very exciting experience. Finding me amongst ladies like me who were ready to learn and share their knowledge was just the right atmosphere. At my first try, I was very excited and desired to continue. Python is very simple and easy to use. It was presented to us in a simple manner and tutored such that I found it very interesting. Having all the fun by experiencing python, time was not on our side, so we had to draw the curtains down and get to another fun session of photo shoot with the coach and participants and after which we had a bit of refreshment. PyLadies Tarkwa's very first meetup was a success, very exciting and most of all, a daring one for me – but thanks to the Almighty God for granting us the opportunity to meet. I am so happy. 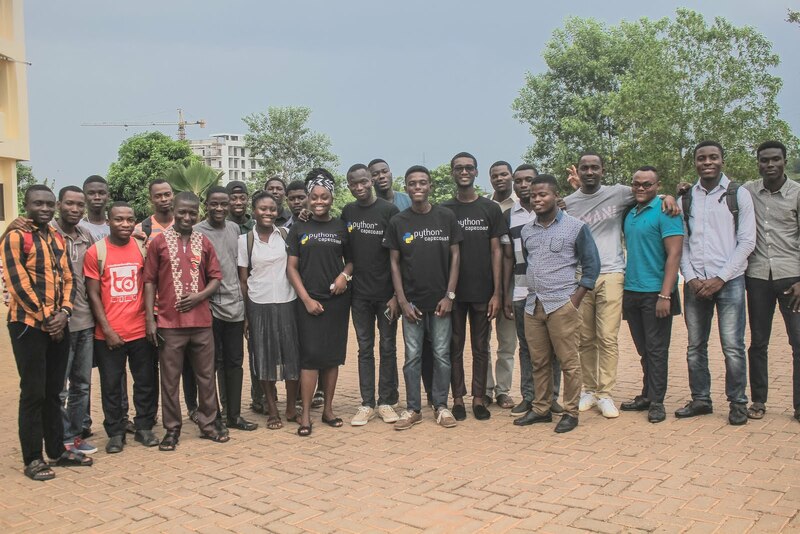 We therefore say thank you to The Python Software Foundation (The PSF), Python Ghana, PyLadies Ghana and to the PyladiesTarkwa team. 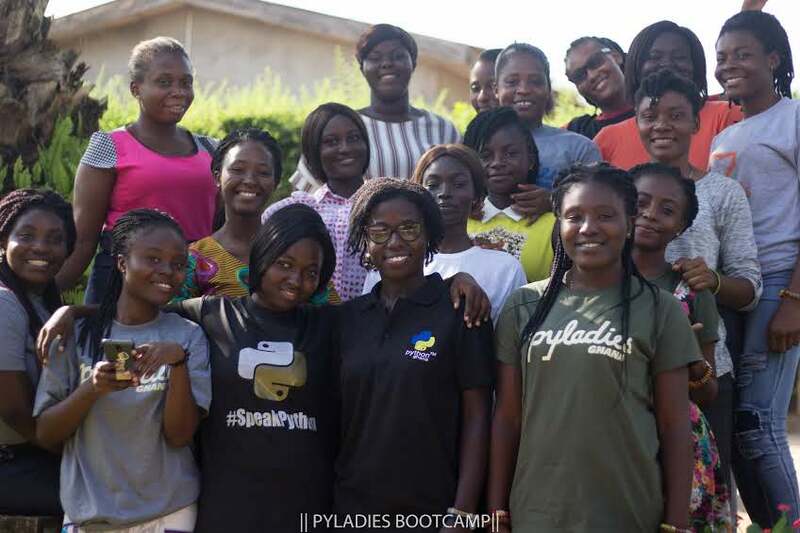 This blog was written by Abigail Gyimah, who is the current Lead of PyLadies Tarkwa. In November last year, I attended the maiden PyLadies Ghana event in #HoCity hosted by PyLadies Ho at the Ho Node Hub. 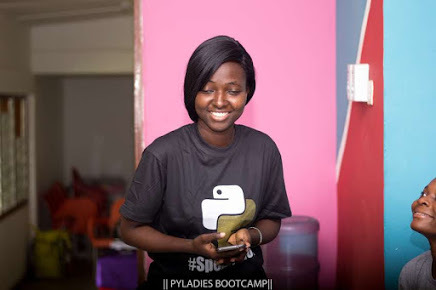 PyLadies Ghana is an initiative under the Python Software Community in Ghana with a focus on helping more women become active participants and leaders in the Python open-source community. 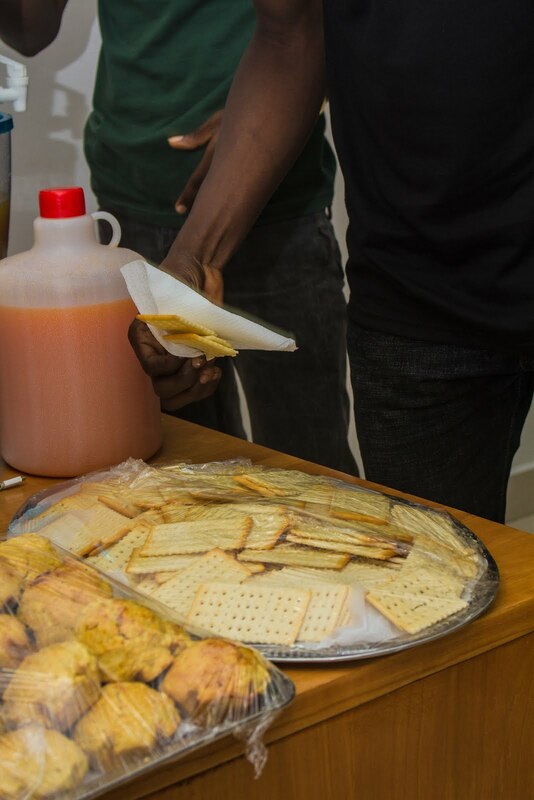 The Ho event was part of a series of meetups that was held in some cities in Ghana. It was a day (few hours) event with a lightning talk from the PyLadies Ghana lead Abigail Dogbe, followed by installation party session (led by me! ), and later the tutorial session lead by Kafui, the lead for Python Ho community. The sessions were all fun and very exciting for me and the ladies. I had to take over Kafui’s team as a coach so he could lead the tutorial session. It was my first time coaching ladies through programming and the feeling was great! Especially since my team had #pyfun coding with kindness. The event was not just filled with programming, far from it. We had occasional ‘social media sprints’, where participants and coaches took selfies and posted on twitter with the hashtag #pyladiesho. It was really fun!!! Then we sang rhymes (I know!) in between sessions and danced to our hearts content! 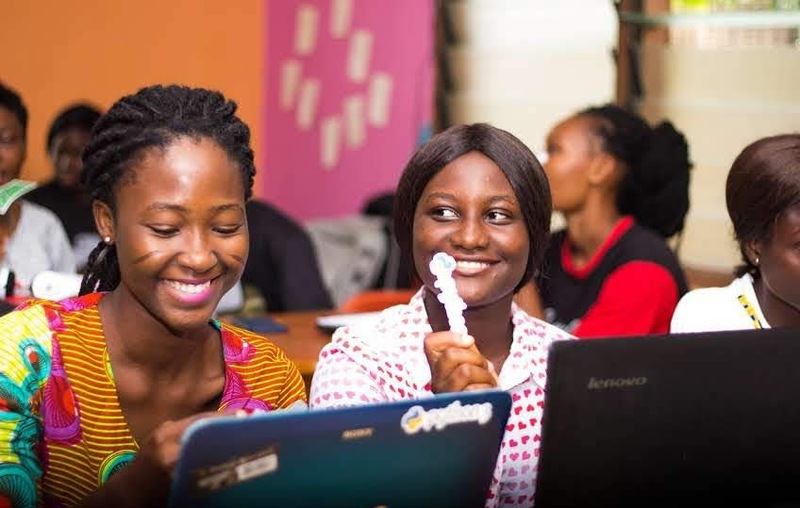 With the help of our amazing coaches who volunteered to guide the ladies in learning python, the event was very successful and impactful and here’s what some participants and coaches have to say! 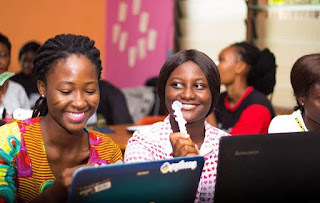 Being part of the maiden PyLadies Ho has further fueled my zeal to encourage more women and girls into STEM just like what the community is doing. Big thanks to the sponsors who made this possible; The Python Software Foundation (The PSF) and Ho Node Hub. 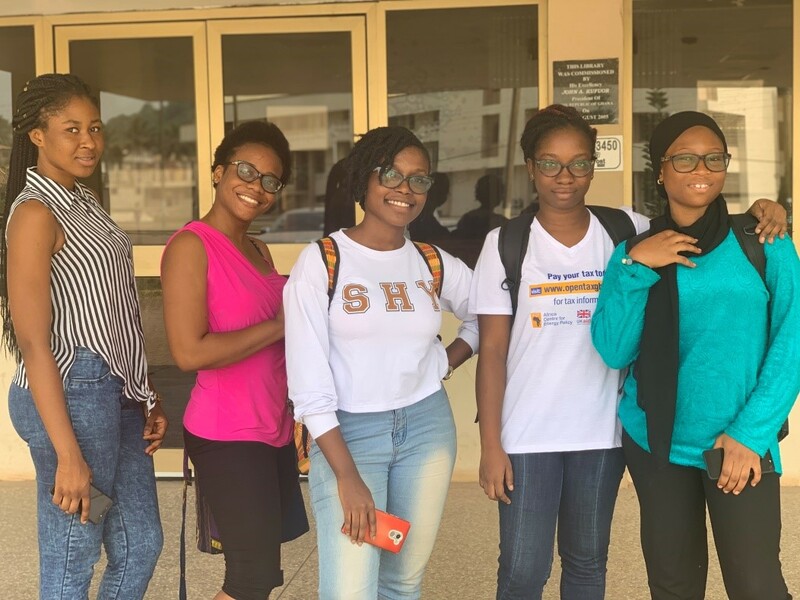 Also, kudos to the amazing organizers, wonderful coaches who volunteered, the awesome participants of PyLadies Ho and above all, the PyLadies Ghana team!!! Let’s grow together! PyLadies Ho has come to stay and we look forward to more enlightening and fun events in the future! PyLadies Ho to the world!!! This Blog was put together by Pamela Klutse, an ardent member of PyLadiesHo. The ripples of the success of Pycon Ghana, 2018 continues to propagate all around the country. 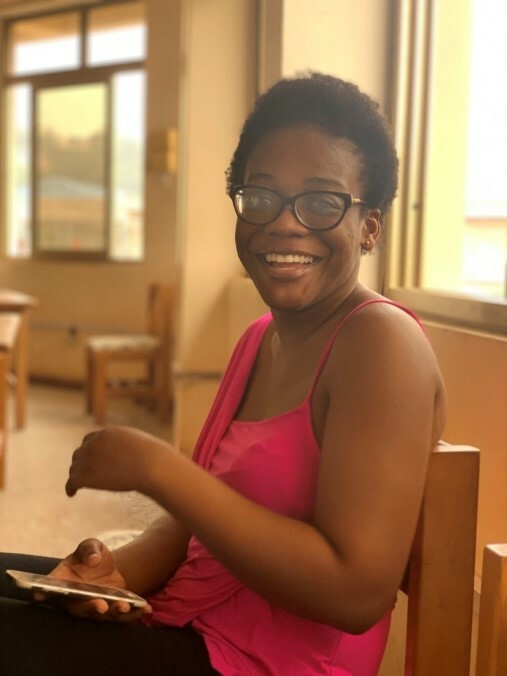 This blog chronicles the success story of one enthusiast, Ms. Goodness Nwokocha, a 3rd year student at the Catholic University College Ghana who took upon herself to make a difference by introducing the Python Programming to her faculty. On the 5th of October, 2018. 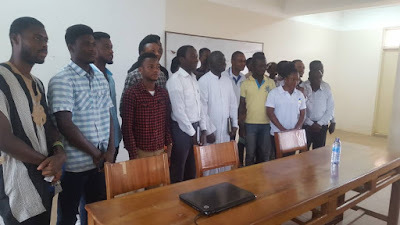 The Python Software Community (Python Ghana) chair made an august visit to the faculty of Computer Science at the University, where he met with the dean and faculty members of the university. In his speech titled, "the developer's mindset", he made a call to action by siting the concerns raised by the World Economic Forum Report on the, "Future of Jobs". The report detailed the changes many jobs would face by the year 2022, and he alarmed on the transition to the 4th Industrial Revolution. The chair also made an appeal to the students to equip themselves state-of-the-art skills and technologies that would poise them for their dream careers. He also emphasized the need to be prepared for the 4th Industrial Revolution stating that, "...Africans are yet to be fully grasp the first industrial revolution". 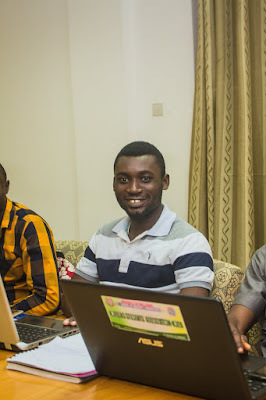 The event also featured a demonstration of the ease and power of the Python Programming language.. Python's ease of use was compared with other languages such as C and C++. The ceremony was climaxed by a speech from a computer science faculty member, Rev. Fransis Philip Amankwa, who echoed the need for students to embark of self-development and more critically, to be able to transfer the skills they have acquired from other programming languages, to enhance their skills in Python programming. The chair was assured that going forward, Python would be taught as a course to computer students and will likely spread to other departments. 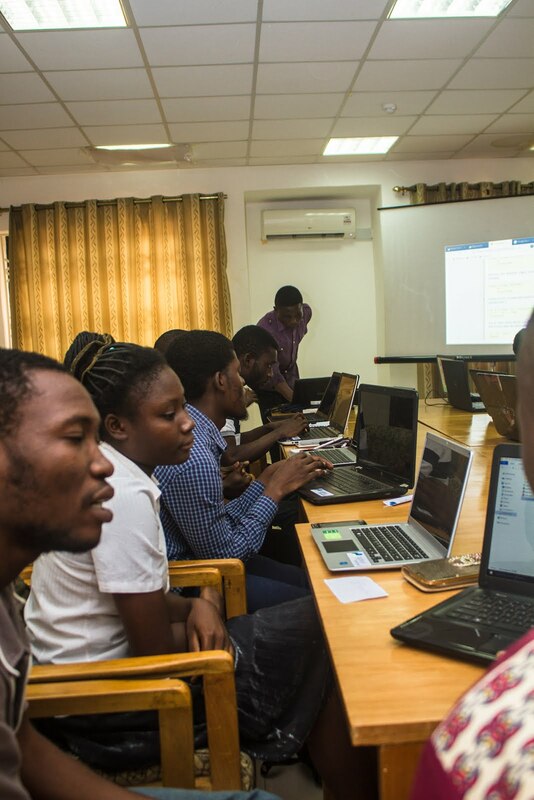 With several initiatives such as PyKids-Ghana, PyClub-Ghana, PyData-Ghana, PyLadies-Ghana, and lots more, the Python Software community in Ghana is rapidly growing from just a few enthusiasts and hobbyist, to a more professional and formal audience. This we hope will bubble all the way up to parliament, and become an agent of the much-needed change in our technical and educational sectors. Python Cape Coast First Meetup. 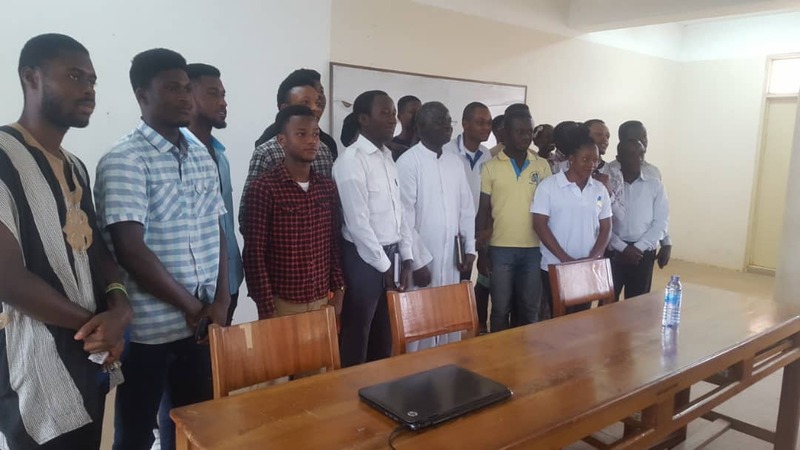 Have you ever heard of Python Cape Coast user group? Well, it’s the programming language user group made up of Python lovers and developers. This user group is established under the guidance of the Python Software Community Ghana (Python Ghana). The community held its first meetup on the 24th of February 2018 . The event began with an introduction of individuals present at the meetup. Dzifa Lokko Joyce, was the MC for the day. We were so thrilled that, after the introduction that we had individuals with no taste of programming present but was hungry to have a taste of it since they heard that software was eating the world. With such crave, we had the privilege of being talked to by our patron, Mr. Armarh Mensah who happens to be a lecturer at the computer Science Department. He made known to the community the importance or essence of joining such tech communities. There were 3 speakers aside the patron. Nikola Jumah, a software developer also graced the meetup with some brief history of Python, the projects she has done with Python and some major advantages Python has over other programming languages. An enthusiast asked what an IDE was and Nikola made it known to the whole house what it is and some benefits a developer gets from using an IDE instead of a raw text editor. An installation party and some basic syntax knowledge was commenced by Amin who also has numerous projects in Python. He also led the community on the basic terms such as loops and functions. After sitting down for quite some time, the attendees were ready to get their hands dirty. The next session commenced a DIY session. 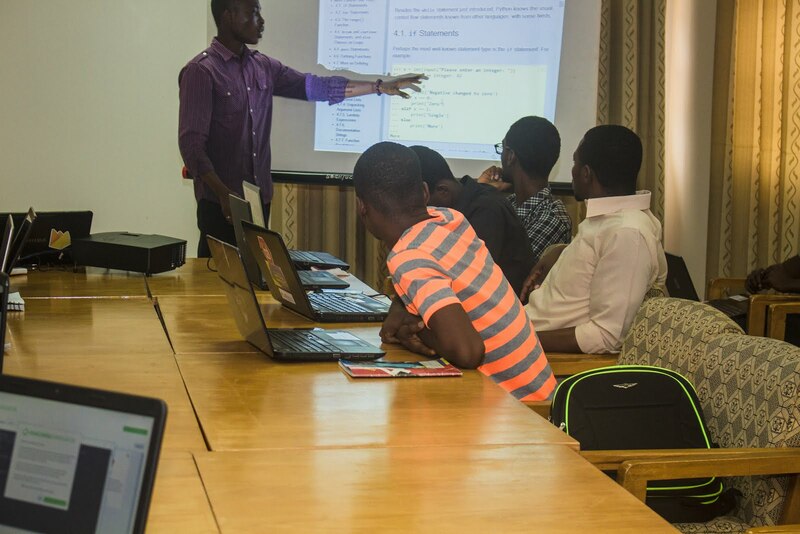 Dennis Effa lead the house into their first basic python program by combining all that the previous leads had done. The stomach was not left out. 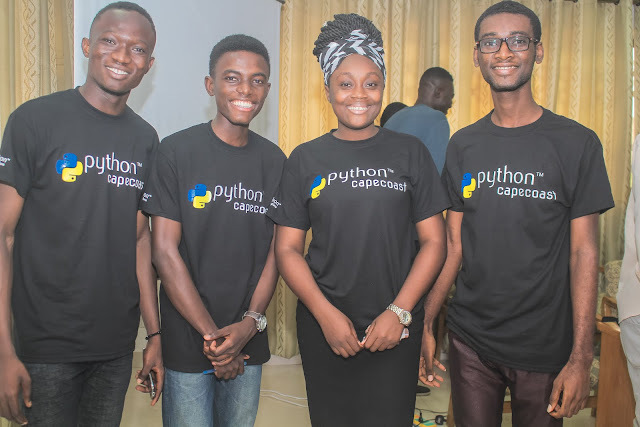 Python Cape Coast would like to extend their gratitude to our sponsors ; The Python Software foundation, Organisers of the event, leads, patron. Python Software Community Ghana. Simple theme. Powered by Blogger.